Houston-based Calpine Corporation is adding Granite Ridge Energy Center, the 745-megawatt combined cycle gas-fired power plant located in Londonderry, to its portfolio. Calpine owns a fleet of 83 power plants in operation or under construction, representing nearly 27,000 megawatts of generation capacity. Along with its retail business, Champion Energy, it serves 19 states and Canada. The Texas company has agreed to purchase the plant from Florida-based Granite Ridge Holdings LLC for $500 million, or approximately $671 per kilowatt, subject to working capital adjustments. Calpine will fund the transaction with a combination of debt and cash; the company already obtained committed debt financing to cover the purchase price. With the closure last year of the Vermont Yankee nuclear plant and 2019 slated closure of Pilgrim nuclear plant in Plymouth, Mass., Calpine sees a growing demand that will raise revenues over the next three years. 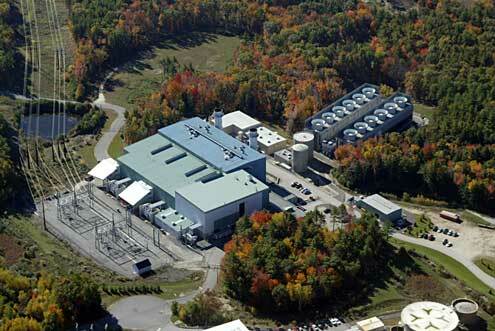 Commencing commercial operation in 2003, Granite Ridge Energy Center features two Siemens 501G combustion turbines, two heat recovery steam generators and one steam turbine. Calpine expects the transaction to close by the first quarter of 2016.